Juvéderm Ultra XC® - how effective is it? Juvéderm Ultra XC® is a lip injection that is administered on the lips for the purpose of augmenting the thickness of the lips. As announced by the company, Juvéderm Ultra XC® (Allergan) is meant for adults who are older than 21 years of age. The drug which can also be injected in the perioral area was approved by the US Food and Drug Administration (FDA) in 2006 as a new indication for the filler. What is Juvederm XC used for? 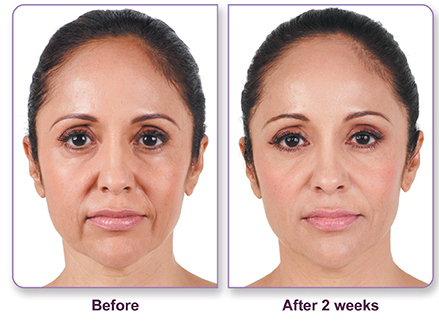 Juvéderm was basically approved for the treatment of facial creases ranging from mild to moderate. These injections are usually administered for the purpose of treating acne scars, smoothing out face wrinkles and plump lips. Additionally, Juvéderm Ultra XC® can also be used to reduce plump eyebrows or get rid of ridges on the forehead and lines situated on the brow. It can also enhance the jawline and augment cheek volume, fill in under-eye hollows, reduce wrinkles on hands and soften scars. How longs does Juvéderm XC last? As Allergan’s version of hyaluronic acid (HA) filler that contended with Restylane, Juvéderm Ultra XC® is commonly used to reduce superficial lines on the skin by filling them up. This product comes in different formulations which include Ultra and Ultra Plus. When applied, Juvéderm can last up to 8-12 months. What is in Juvéderm Ultra XC®? Juvéderm Ultra XC® is produced as a smooth gel formulation that consists of a small amount of lidocaine and a modified form of hyaluronic acid which helps to improve the comfort of the injection. As soon as the gel is injected into the lips, fullness is instantly added to the lips. How long does Juvéderm Ultra XC® last? As revealed by Allergan, results have shown Juvéderm Ultra XC® to be the only dermal filler for lip augmentation that can last up to one year. Also, findings obtained from some clinical trials have shown 79 percent of meaningful improvement on the gel for lip augmentation of subjects within the space of 3 months after treatments were performed for lip fullness while an improvement in their overall satisfaction was recorded at 78% about the look and feel of their lips. How is Juvéderm Ultra XC® used? The FDA has already approved the use of Juvéderm Ultra XC® injectable gel as a filler injection for certain areas of the body where moderate to severe folds and wrinkles of facial tissue can occur. It helps to add volume to the skin that is mostly found around the nose and mouth for a temporal period of time. This dermal filler is manufactured by Allergan as a colorless gel. Juvéderm Ultra XC® is created with an advanced process of manufacturing hyaluronic acid through the use of HYLACROSS technology. To this end, Juvéderm is now the most easily injectable gel than any other granular dermal filler. This facial dermal filler is non-animal hyaluronic acid (HA) and is bacterium-derived. How does Hyaluronic acid help my skin? As a naturally occurring sugar in the body, Hyaluronic acid can act as a cushioning agent and hold water at the injection area. It tends to affect the skin by establishing a smoother appearance to the skin and adding a temporal volume. The facial dermal filler has been declared safe for commercial use due to the fact that it has the ability to get rid of the bacterium that produces the HA. For optimal results, most patients are only required to obtain just a single treatment. 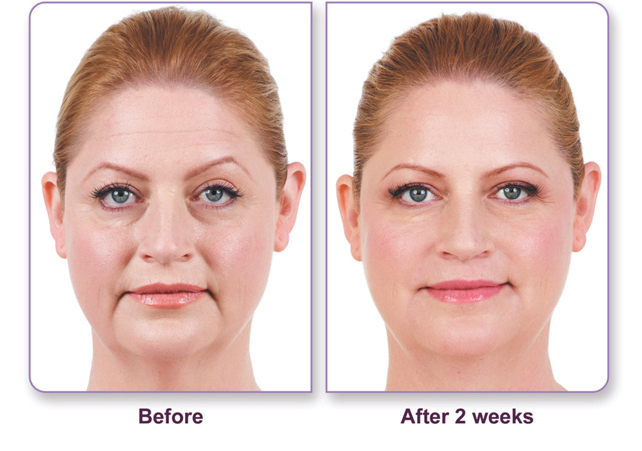 How can you prolong the lasting effects of fillers? Utilizing a combination of esthetic treatments and products will ensure the results of any filler are long lasting and effective. For example, when you combine a filler with lasers, the skin will immediately show the signs of improved tone, texture, and structure. Lasers help facilitate collagen formation. Additionally, a good topical/cosmetic application will all compliment the wonderful effects of Juvéderm Ultra XC®. Disclaimer: The before and after photos on this page are actual clients. Please note that results do vary and it’s always best to consult your physician with any and all concerns. CONSULTATIONS ARE ALWAYS FREE! No matter how complex your needs are, we are here to help. All images on this site are are copyright protected by their respective owners.